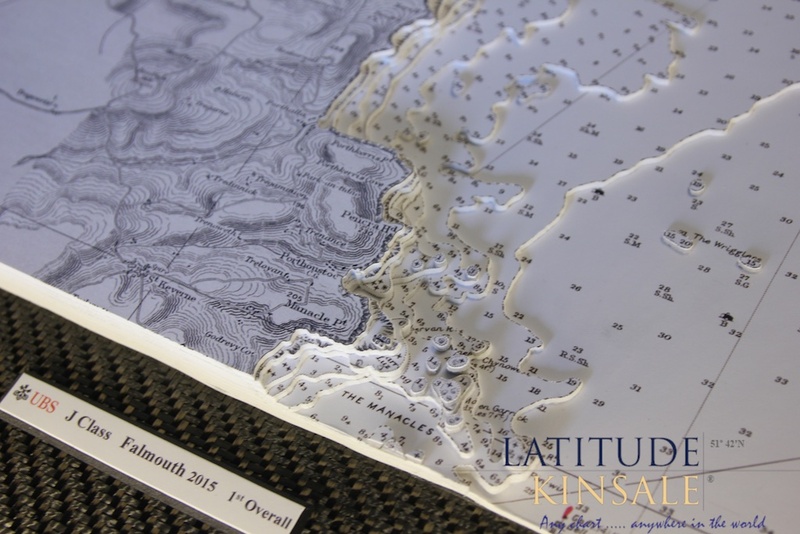 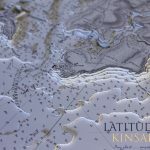 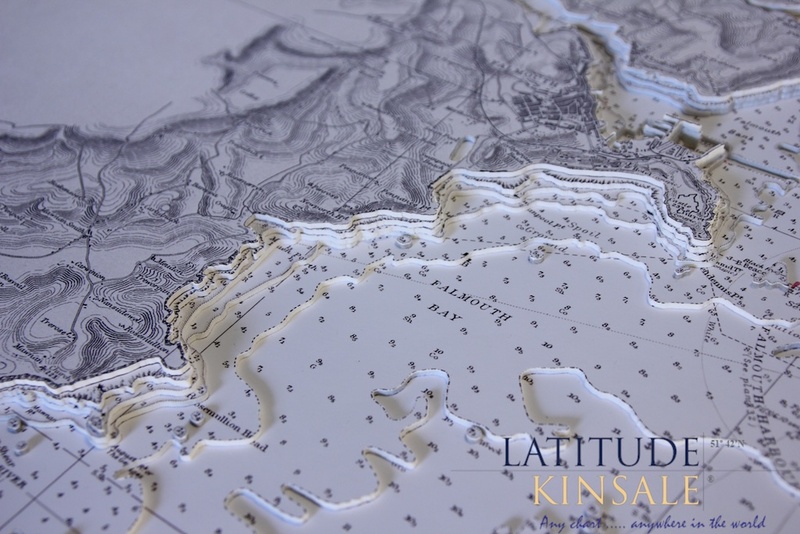 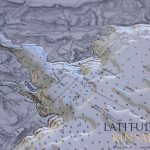 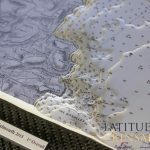 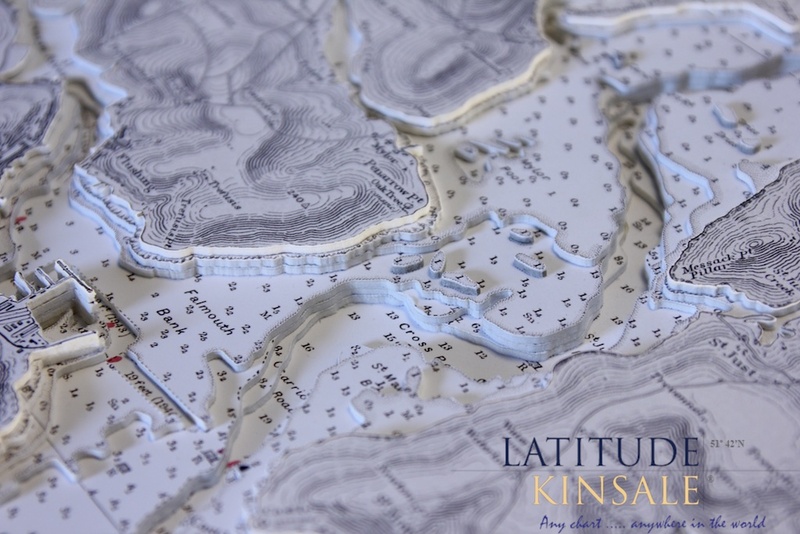 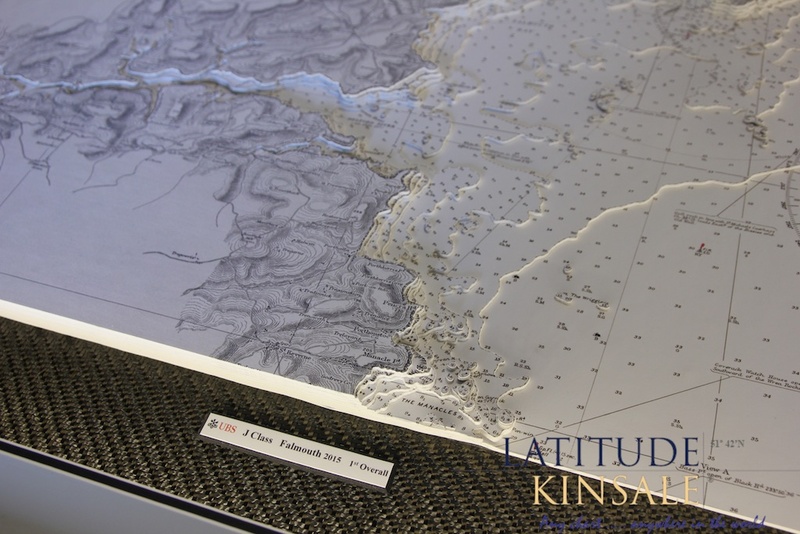 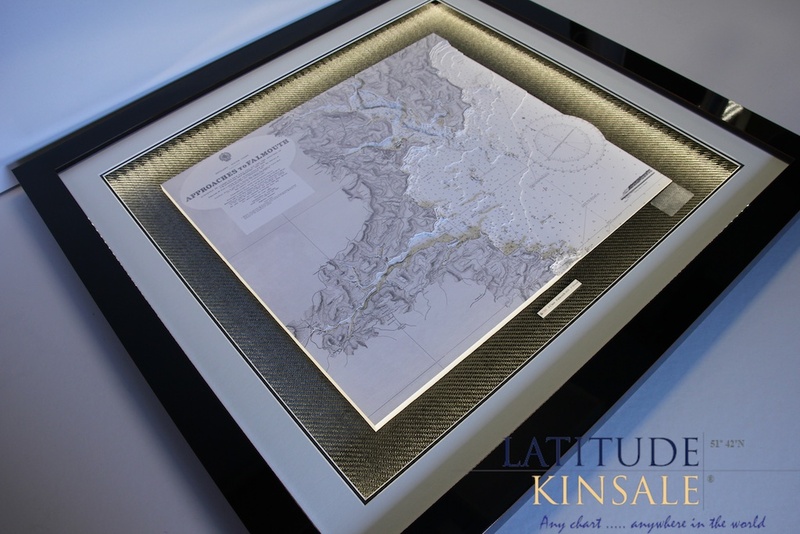 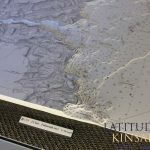 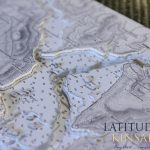 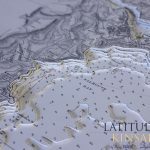 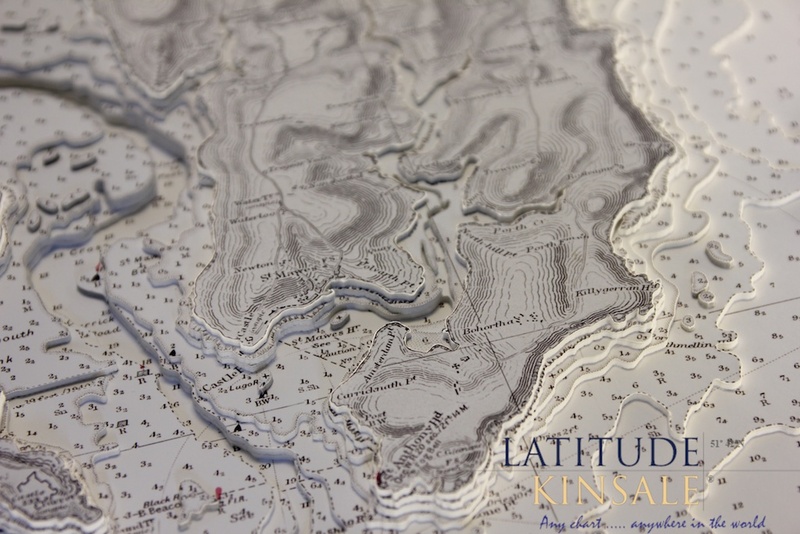 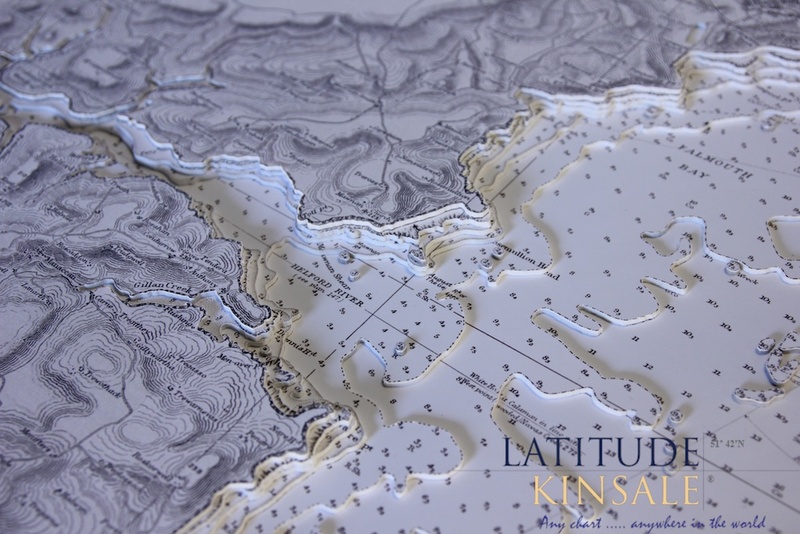 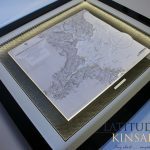 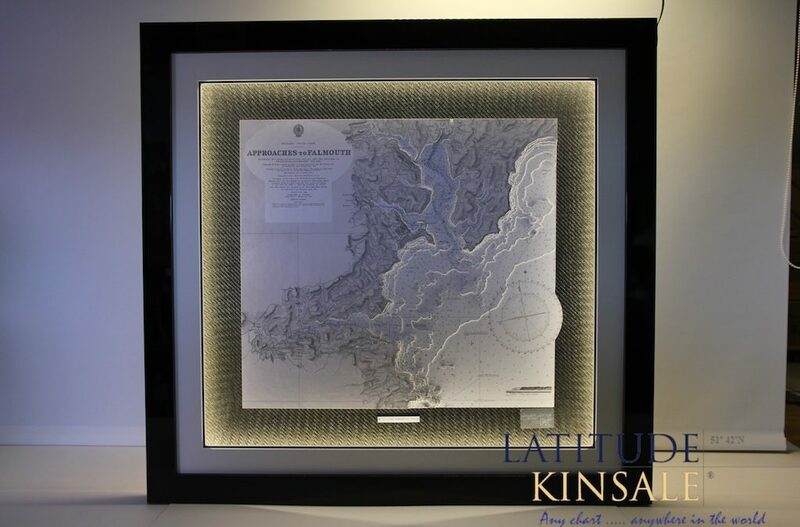 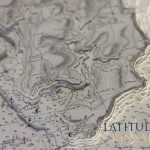 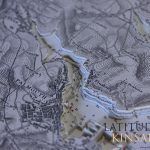 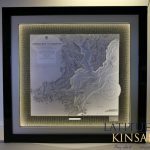 Latitude Kinsale was proud to be chosen to create prizes for three J-Class regattas. 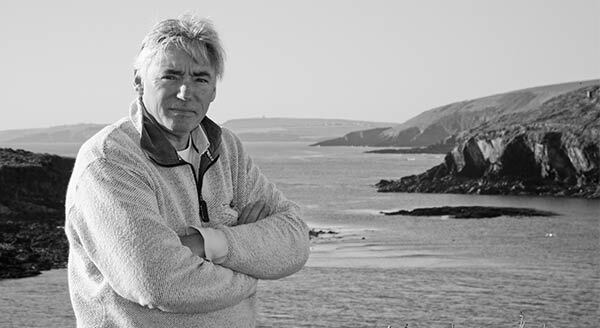 The J-Class are undoubtedly the most beautiful yachts in the world. 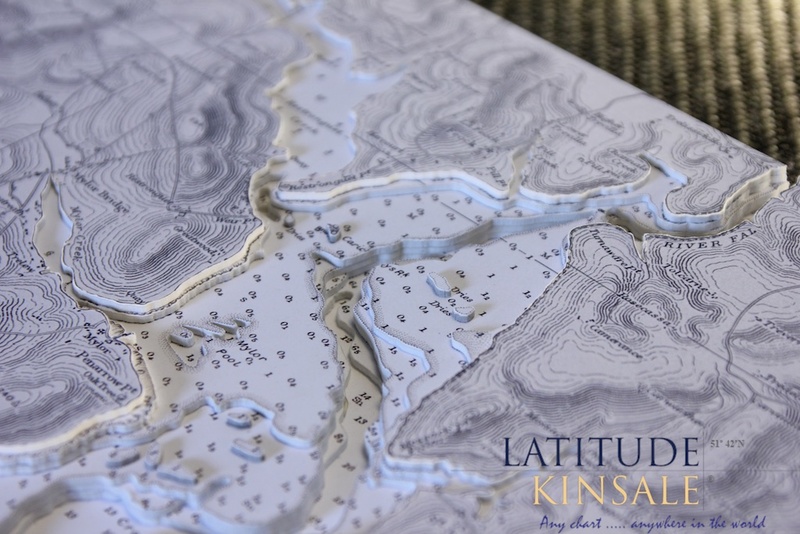 There are very few in existence and these magnificent boats are deemed to be part of a very elite group. 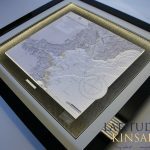 It was a great honour to have my work chosen by such a prestigious association. 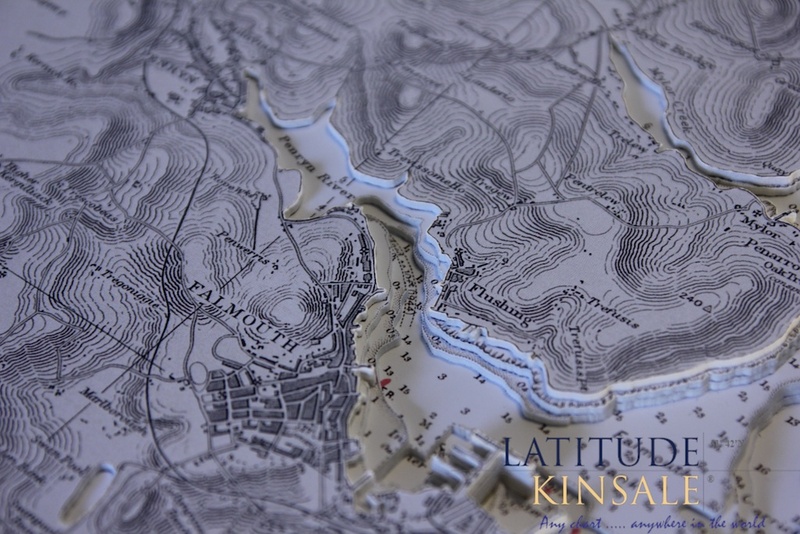 This chart of Falmouth is one of the three, the others being The Isle of Wight and Saint Tropez to Iles d’Hyeres. 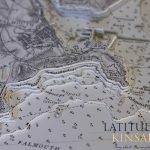 Falmouth is famous for its harbour. 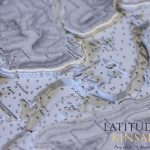 It lies opposite St. Mawes on the west bank of the Carrick Roads. 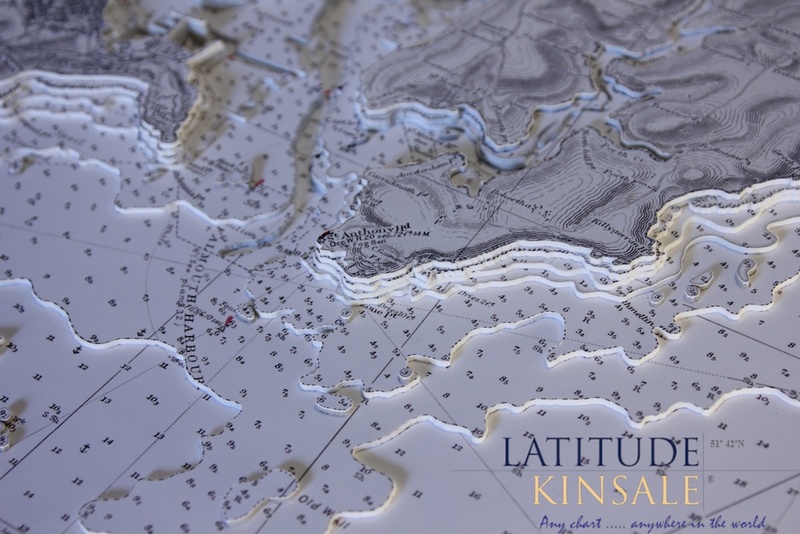 It has been the start or finish point of various round-the-world record-breaking voyages. 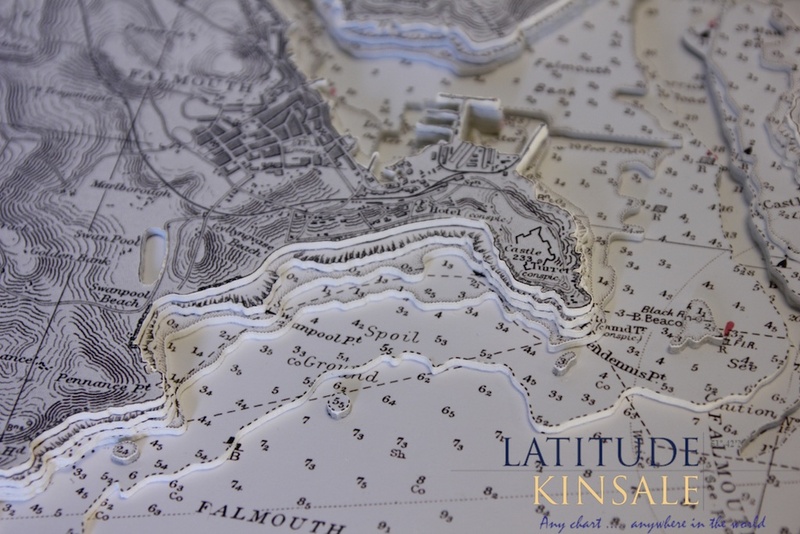 Falmouth Docks can be seen on the chart, as can Pendennis Castle. 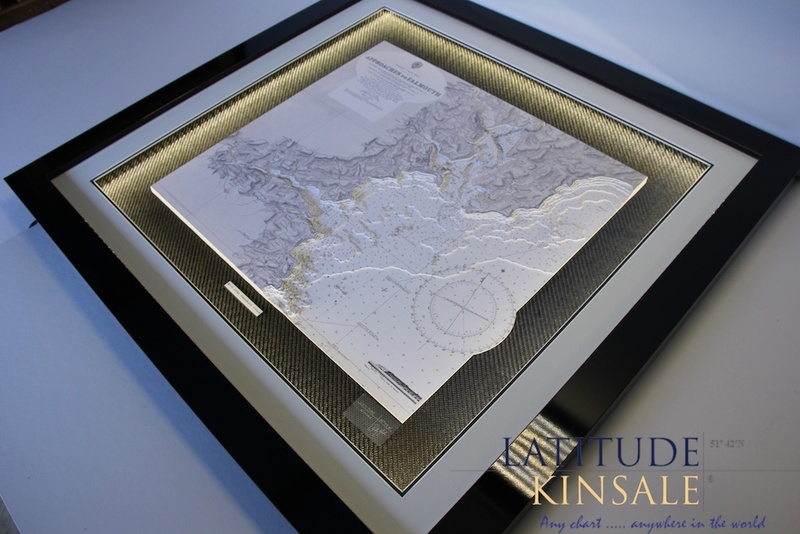 The chart features built-in surround lighting and has a charcoal background with a grey mount and a black frame.